A Salute for our Week 7 www.TheTruthAboutForensicScience.com Forensic Science Geek of the Week! You have heard of the myth of the Horse Whisper, right? Heck Hollywood even made a movie about it. Robert Redford was a horse trainer who could whisper and talk with the horses. They would listen and communicate with him. Pretty fantastic stuff! There has also been the “Dog Whisperer” which is a TV series on the National Geographic Channel that has a dog trainer whose dogs exhibit behavioral problems and whispers sweet nothings into their ears and can communicate with the dog just like you and I do. Then there is my second favorite, the Ghost Whisperer, a CBS TV drama, Jennifer Love Hewitt as a psychic who communicates with spirits. But the criminal justice system does one better, it is my favorite brand of whisperer. It allows into evidence in a criminal trial a FIRE WHISPERER. Fire Whisperer was a phrase that I first heard coined by John Lentini of Scientific Fire Analysis. (CNN) — This is the story of two fathers who drank too much and fought with their wives but, their families say, loved their children more than anything in the world. Across the country, at a prison outside of Waynesburg, Pennsylvania, where authorities say they hold the “worst of the worst,” is 50-year-old Daniel Dougherty. He, too, was found guilty of deliberately igniting fires in his home that killed his two sons, Danny, 4, and Johnny, 3, in 1985. Police arrested Dougherty 14 years later, when his estranged wife came forward and claimed he confessed. A jury found him guilty on capital murder charges in 2000. 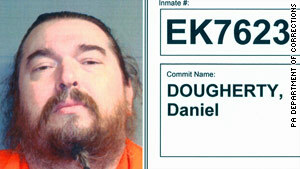 Daniel Dougherty, 50, is being held on death row in Pennsylvania. He is appealing his case. Last month, a Texas state board admitted in a preliminary report that flawed arson science was used in Willingham’s investigation. The board’s announcement raises a frightening question: Could the state of Texas have executed an innocent man? Like Willingham, Dougherty has maintained his innocence from the start. He is trying to prove he isn’t responsible for the flames that engulfed his house and that he is also the victim of flawed arson science. Todd Willingham said he was innocent but was executed in February 2004 for the arson murders of his three kids. With science on his side, Dougherty hopes the court will set him free — before it’s too late. No execution date has been set. Dougherty’s version of the blaze doesn’t paint him as a murderer but as a failed hero, who tried twice to rescue his sleeping sons with a watering hose and ladder, according to court records. By the time authorities extinguished the fire, his sons had already died from inhaling the toxic fumes. John Lentini and Angelo Pisani — two of the country’s renowned arson investigators — have conducted thousands of fire scene inspections. Five years ago, they received a call from Dougherty’s attorneys. Separately, the investigators combed through the reports, testimony, photographs and other evidence from the original fire scene. Contrary to the fire investigator’s original report in 1985, Lentini and Pisani argued there were no signs of arson in Dougherty’s home. Such expert testimony was never presented by Dougherty’s attorney in his 2000 trial. What is a flashover fire? In his 1985 report, Quinn had determined three fires took place on the first floor of Dougherty’s brick home: one by the sofa, another by a love seat, and a third under the dining room table. Quinn concluded only a person could have set the fire in three separate places. Quinn declined CNN’s request for an interview. 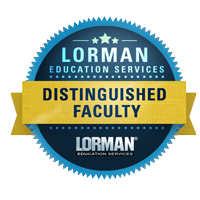 Pisani and Lentini argue that the multiple burning spots were likely the result of a “flashover” — a naturally occurring phenomenon during a fire. In a flashover, the enclosed room can get very hot, reaching temperatures as high as 1,100 degrees Fahrenheit. The room eventually combusts, resulting in various burning points. The Philadelphia District Attorney’s Office rejected Dougherty’s claims of innocence. They said a flashover fire requires an enclosed space, but that Dougherty’s living room, where the fire occurred, was not an enclosed space since there was a stairwell. They also argued Dougherty managed to emerge from the house without burns or signs of smoke inhalation. Known as the “outgoing” middle child, he made friends and girlfriends easily. His father’s death from heart problems crushed the 14-year-old Dougherty, who began to drink. Dougherty’s older sister, Karen Dougherty, 53, invited them over for Sunday night dinners at her home. She said her brother relished in his role as a father. He was the first to take his children — and hers — sledding each winter. “Our father passed away when my brother was young so he always had the kids close to him to make sure nothing would happen to them,” she said. He ran outside to get the neighbor’s garden hose, but the hose was too short. He tried to get water near the window of the house, but he was too late. Flames were already bursting from the house. 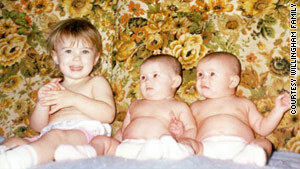 Killed in the Willingham fire were stepdaugher Amber, 2, and twins Karmon and Kameron, 1. In 2006, Hurst independently examined Daniel Dougherty’s case. Hurst, too, believed that the multiple burning points were the result of a flashover fire. The fire that killed three people in the Willingham case in Texas happened in 1991, a year before NFPA 921 was released. 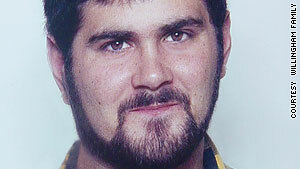 In February 2004, Willingham was executed. Later, three reviews of evidence by outside experts concluded the fire should not have been ruled arson. The reports stated a flashover was likely responsible for the fire at Willingham’s home. Sussman’s claim should have been dismissed because no fire reports showed accelerants had been used, Dougherty’s attorneys argued. At the time Sussman went to police, she was engaged in a custody battle with Dougherty over their son Stephen, court documents say. Prosecutors supported their case with the statements of two jail house informants who said Dougherty confessed to them in his cell. But Dougherty’s attorneys say the jail house informants are unreliable. They point to studies that show in-custody informant testimony is a leading cause of wrongful conviction in capital cases. Dougherty’s first wife and the mother of the deceased children, Kathy Fox, is now remarried. She said she doesn’t believe he intentionally killed their children. She never testified in the original trial because Dougherty’s attorney didn’t ask her. “Knowing Daniel and his relationship with his children, I cannot believe he would have burned them to death,” she said in statement presented in Dougherty’s appeal. So how do lawyers prove a man’s innocence more than two decades after a fire occurred? The task is almost impossible, said David L. Faigman, a law professor at the University of California, San Francisco. Disproving an arson case is more challenging because the findings aren’t as clear-cut as DNA, he said. He said the petitioners have the burden to prove the arson didn’t occur and that they weren’t involved. “Courts are already reluctant to open old cases without something like DNA that is really demonstrative proof of someone’s innocence,” Faigman said. Cameron Todd Willingham’s family in Texas is on a quest to prove he is innocent. While the Texas state board’s preliminary findings admitted to flawed science, they also found the investigators did not commit negligence. Still, his family is hoping the board’s final findings, expected to be released in October, will exonerate him. Dougherty’s fate rests in the Pennsylvania Supreme Court, which could take years to make a decision. If the Pennsylvania Supreme Court denies his post- conviction relief, his attorneys say they will have to go to federal court. Meanwhile, Daniel Dougherty marks his time on death row in Pennsylvania. He’s in solitary confinement. At 4 a.m., he is awake and listening to the radio through his headphones. By 5 a.m., he says a prayer and starts his routine of medicines for a number of ailments, including stomach problems. He’s worried about whether his body will hold out long enough to prove his innocence. Johnny and Danny, his sons who died in the fire, remain a topic of conversation that evokes “severe hurt,” he said. “I LOVED (and still do) my sons more than life itself,” he wrote. Once again, we should demand that real science be presented in the Courtroom and that science fiction remain in the movies. Justin, Is is not funny how so many of the individuals in question in your article, including Detective Dennis Woodring, were actually “honored” at the 2010 Pa Fraud Prevention Dinner? Follow the link above to see for yourself what a good ole boys club we really have in Harrisburg. Keep fighting McShane, we need you! Thank you for your words of encouragement. 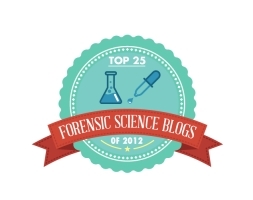 It is about exposing the truth and the limitations of forensic science. If it is valid work, it will be celebrated. If not then it will be exposed.